Below you’ll discover why so many athletes are switching to Olympvs for their shirts, by comparing the three possible fits side-by-side: Regular Fit Vs Slim Fit Vs Athletic Fit. 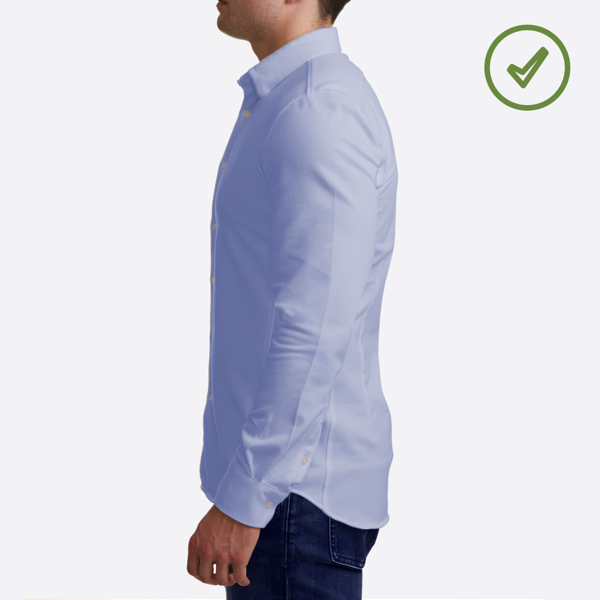 The regular fit shirt may fit an athletic upper body, but fails to taper in at the waist. This results in a boxy-looking shirt that is extremely baggy and looks like you’re wearing a tent! This can make athletes look overweight, even when they could be hiding a six pack underneath. 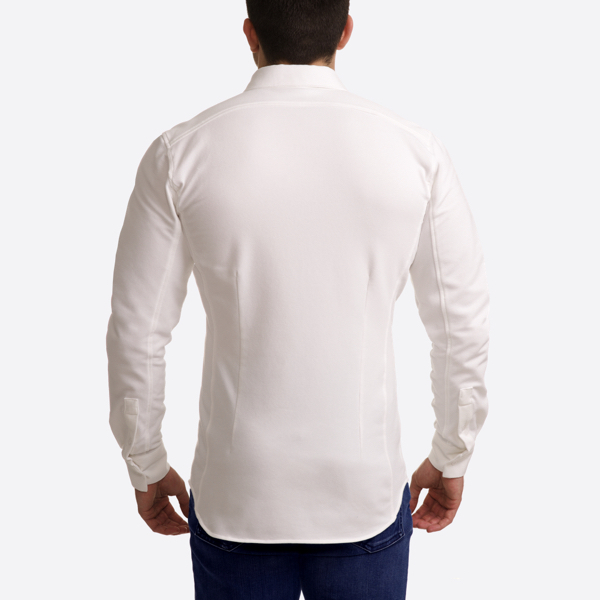 Slim fit shirts provide a tapered cut through the midsection and waist, but leave no room in the upper body. 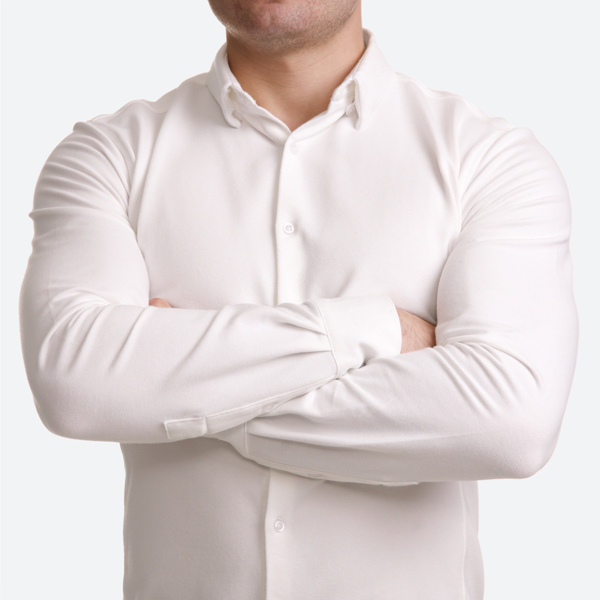 Although this can show off your muscles when sitting still, it’s uncomfortably tight around the arms, chest and shoulders when you move throughout your day. With slim fit you risk extreme discomfort, buttons popping off, and tugging on your lats when you reach for the top shelf. The Olympvs Athletic Fit Shirt is built to make you look sharp, but lets you manoeuvre as freely as when wearing your favourite gym top. Developed with a tailored athletic fit which subtly accentuates your physique, combined with our innovative HYPERstretch fabric which allows completely unrestricted movement. Our shirt means you feel comfortable and confident, whatever your day throws at you. Ready to upgrade your shirt? We totally understand that buying shirts online can be tricky. Therefore we offer free delivery, free returns plus a money back guarantee. Our packaging is also designed to make exchanges a breeze. Your biggest risk with trying them out is never wanting to go back to a standard fit shirt! Extra room in neck and upper body with a streamlined silhouette created by tapering through waist and arms. This gives a nice V-shape taper, designed to flatter your physique and show off your hard work. Luxurious HYPERstretch fabric looks and feels sharp, but has the same level of functionality as your favourite gym top. Allowing completely unrestricted movement, making you feel limitless. 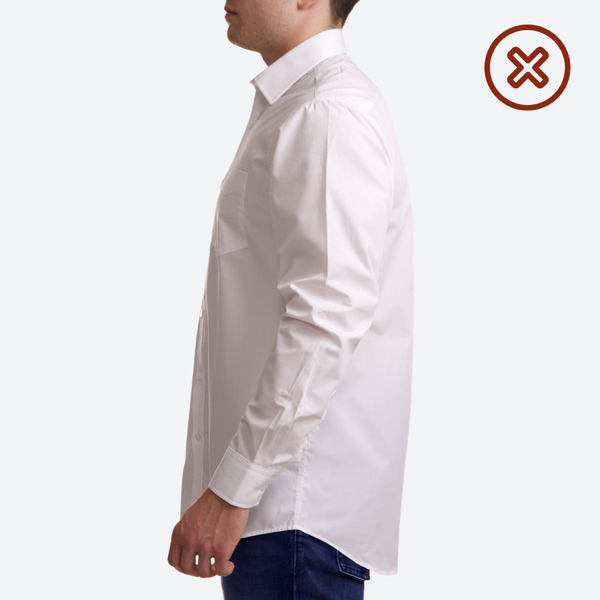 Thoughtful design features like hidden button down collar, back darts and side panels make you look effortlessly sharp and improve functionality as you move.